TO BE USED WITH SQUARE STAND ONLY! 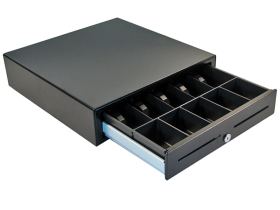 The APG Vasario 1616 USB cash drawer is a 16” cash drawer that holds 5 spots for bills and 5 cups for coins. 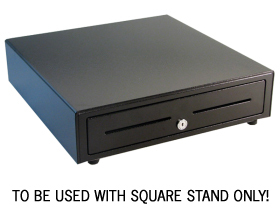 This sturdy cash drawer is a no brainer solution that connects directly with the Square Stand via a USB cable. 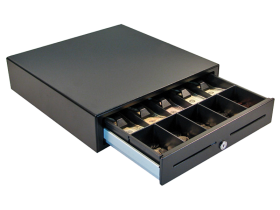 The cash drawer is reliable and great for retail shops and restaurants, with a latch tested up to 1 million cycles, durable hold-downs for your bills, and a multi-function lock. 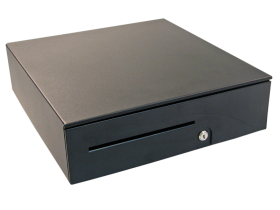 Mount the Vasario 1616 cash drawer under a counter with available brackets for a clean look, or use on top of the counter as a support for Square Stand and a printer. 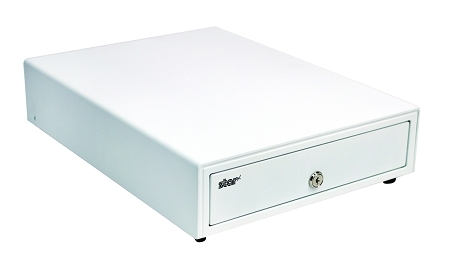 If counter space is a concern, consider the smaller APG Vasario 1416 cash drawer. 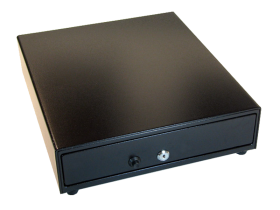 Available accessories include under-counter mounting brackets, extra tills and locking till covers. Need to shift out the drawer? 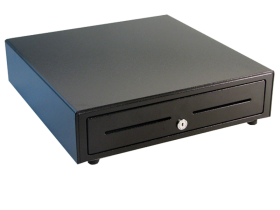 Make it an easy and secure exchange with an additional cash drawer till and locking till cover. Additional till configurations are available as well, including adjustable coin slots and coin cups.